Murree: The Municipal Corporation (MC) Murree has placed a ban on transporting construction material to the resort town, according to a news source. In addition, the preparation of construction material within the area has also been banned. The Municipal Corporation has sealed factories preparing cement blocks, while it has also started taking strict action against the transportation of sand and gravel to the region. 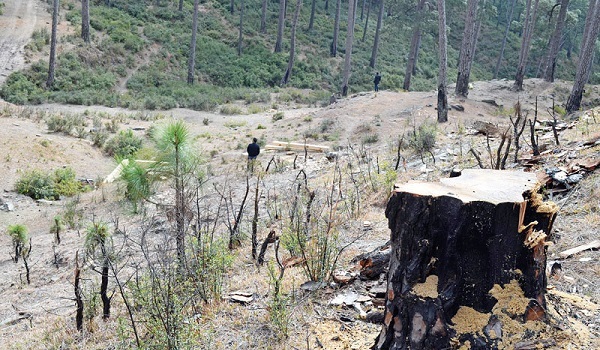 The action was taken on the directives of the Supreme Court of Pakistan, which ordered the concerned authorities to place an immediate ban on construction activities in District Murree, Kotli Sattian, and Kahuta. After the orders of the apex court, the Commissioner Rawalpindi directed all the concerned departments to report back illegal construction activities to the commissioner and assistant commissioner office. Meanwhile, it is to be noted that then ban is not applicable on property in rural Murree.